Human Pets is a free online hangout focused on meeting people in a fun way! You'll make tons of friends. Human Pets has even helped several couples get engaged. Everyone on Human Pets is an animal. You can have pets too. 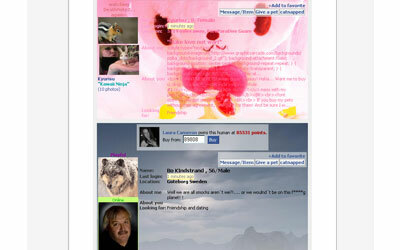 Customize your profile, and then buy pets! Are you a wolf, a cat, or a bird? Choose which animal you want to be and also pick a habitat. Then, check out all of the other human pets, and buy a few to take care of! Find "human pets" near you, and become real life friends! 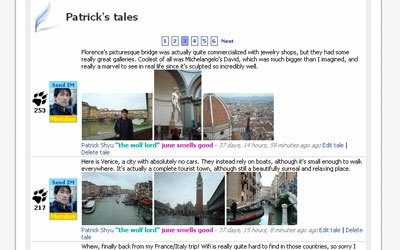 Or, check out the random profile viewer and meet people from all over the world. When you gain enough points, you can bid on auctions. 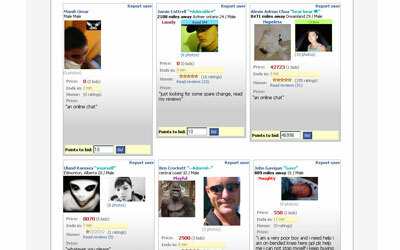 Users auction off a variety of things, from chat sessions, to photos, to postcards and letters. Auctions can be a great way to make new friends! 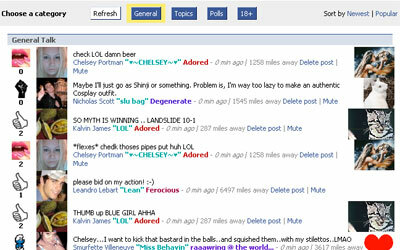 Join the chat room, and earn virtual points as you interact with thousands of people. Create polls and share ideas. Tales are like blogs. Share photos, music, and videos with your friends. 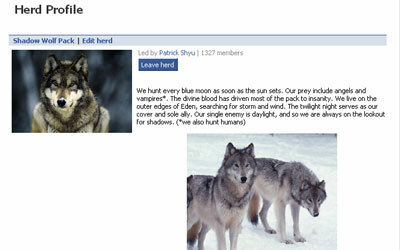 Create similar interest groups known as "herds," and discuss your hobbies with new friends. 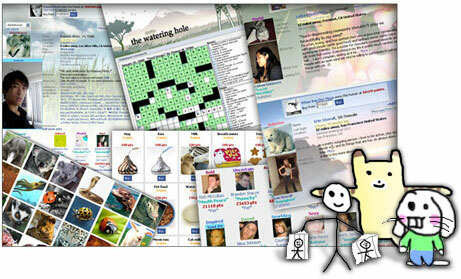 Play crossword puzzles and other word games in the forums. Go shopping and find new items for your pets! 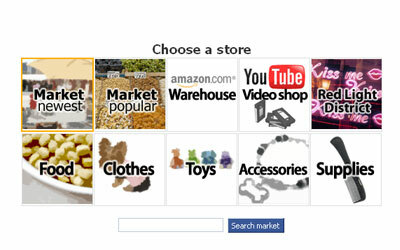 You can even open up your own shop and earn virtual points from sales. See if you can become a top seller. 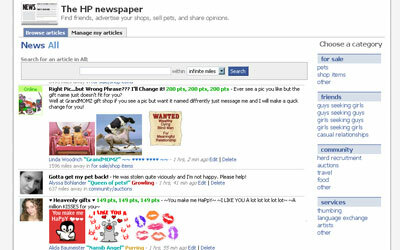 Human Pets features its own classifieds section, where you can sell your pets, advertise your shop, or find activity partners. There's much more, so sign up! It's free.